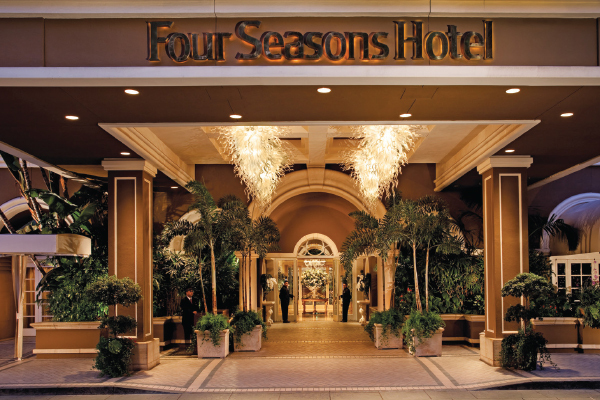 The Four Seasons Los Angeles, known as the epicenter of West Coast glamour and luxury, is the perfect place to stay in Southern California for business and leisure travelers alike. 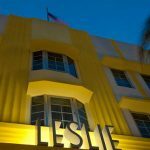 Recently renovated, this fivestar luxury hotel is nestled in a vibrant and leafy residential enclave between Beverly Hills and West Hollywood. 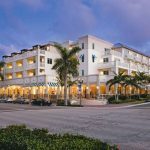 During the early year awards season and later in the year for The Emmy TV Awards the Hotel transforms into a focal point for celebrity guests and media. The glamorous hotel’s two hundred eighty-five guest rooms and luxury suitesare decorated in warm hues inspired by the sunshine of Southern California and all feature French doors to a step-out balcony with breathtaking views of the gardens, Beverly Hills, Los Angeles, or the Hollywood Hills. Each room or suite also features a lavish marble bathroom. 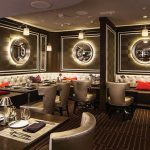 Outstanding dining opportunities abound at the Four Seasons Los Angeles – two restaurants plus a lounge offer sumptuous fare. 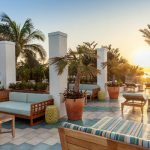 At Cabana Restaurant, guests can enjoy Mediterranean- California cuisine in an intimate casual dining setting adjacent to the hotel’s rooftop pool. Culina, Modern Italian – feted as one of the nation’s best new restaurants by Esquire magazine – features LA’s only crudo bar, an expansive patio, two lounges, a contemporary dining room and two private rooms for entertaining. A stunning indoor-outdoor restaurant design blends simplicity with elegance. As an alternative, Windows Lounge features a newly spacious outdoor patio and live entertainment three days a week. 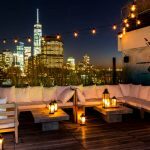 A menu offering delectable appetizers from around the globe, specialty martinis, in addition to an extensive wine list is complemented by the lounge’s plush atmosphere. Once you have rested in the room and tried the range of dining choices perhaps it is time to explore the hotel’s amenities. 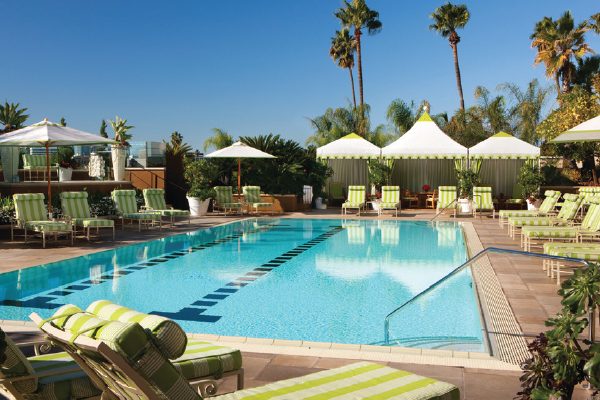 The hotel’s outdoor pool is brand new and offers gorgeous elevated city views. Six poolside cabanas are available for spa treatments or a shady poolside respite. Furthermore, a number of complimentary services and amenities are provided free of charge to every guest. 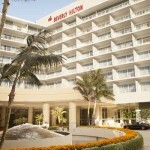 These include inroom wireless or wired internet access, luxury car transportation within a twomile radius of the hotel.